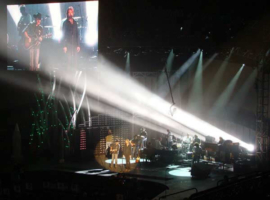 BURBANK, CA – “Country Music’s Biggest Night™” shined even brighter this year with the addition of A&O Technology’s xenon FALCON® luminaires. 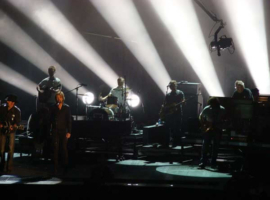 Emmy Award winning lighting designer Bob Dickinson ultilized 32 FALCON® 6000 CMY’s, 6 FALCON® BEAM 3K’s and 6 FALCON® FLOWER 3K’s for the television special which aired live from Nashville November 12, 2008 on The ABC Television Network. The FALCON® 6000 CMY uses the very latest xenon technology and upgraded optics. 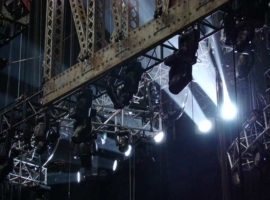 The light is an indoor/outdoor, DMX controlled, xenon fixture equipped with douser, pan-and-tilt movement, electronic and mechanical dimmer, electronic and mechanical strobe, zoom and integrated electronic power supply. The FALCON® 6000 CMY includes a CMY+1 color changer and extra scrolls for special effects. The CMY color changer system allows for hundreds of brilliant color combinations. A fourth gel string is equipped with special colors, and/or other special effect films. The FALCON® BEAM, available in 3K to 8K for both indoor and outdoor applications, is the brightest, most reliable xenon source of its size and is specifically designed for both floor-mounted and suspended/inverted use. The FALCON® BEAM easily converts into a multiple-beam FALCON® FLOWER. With the Flower option, either effect can be achieved using the same fixture body. A&O opened a US rental location in Spring 2008. 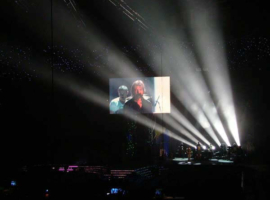 FALCON® xenon lights have been used on several major productions this year including the “Superbowl Halftime Show with Tom Petty”, “The 2008 Grammy Awards”, “Dancing With The Stars”, “The Coachella Valley Music Festival”, Kanye West US tour, “The 2008 MTV Video Music Awards”, My Morning Jacket US tour, the grand opening of the Palazzo Hotel in Las Vegas, “The Democratic Convention from Denver”, as well as many others. 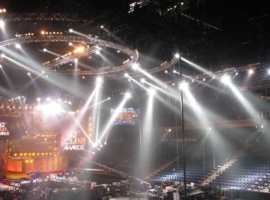 A&O has locations in Europe (Germany, UK), America, Middle East and Asia, and is the largest full-service provider of xenon lighting products for entertainment and architectural applications. 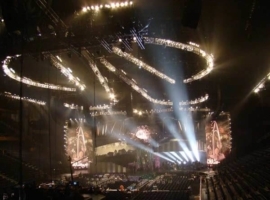 For the 41st Country Music Awards 2007 in Nashville, lighting designer Bob Dickinson commissioned the service provider A&O Technology to supply FALCON® lighting systems for the stage show he had designed. For each of the various musical interludes between presentations there was a different light show calculated to capture and enhance the mood of the music. The 20 FALCON® BEAM 3kW fixtures delivered and installed by A&O played a key part in ensuring the desired effects were achieved. A particular challenge presented by this project was the requirement that both stages be totally transformed in the course of the event. 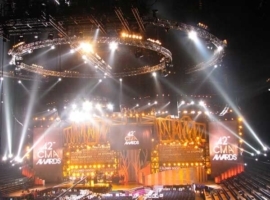 The 41st Country Music Awards 2007 were presented in November in the Sommet Center in Nashville (Tennessee). 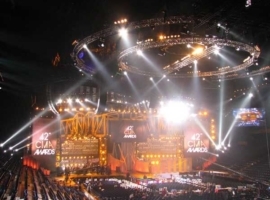 After the Grammys, the Country Music Awards are the most highly coveted of all music prizes up for grabs in America. For the first time in the history of the American Music Awards, the winners this year were determined by online voting. 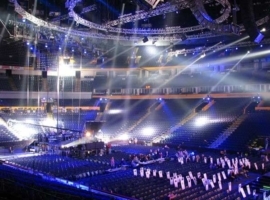 After the Special Olympics in Shanghai, the BET Awards, the Emmy Awards and the Scream Awards in Los Angeles, the CMA were a further instance of the successful collaboration between the American lighting designer Bob Dickinson and the German lighting service provider A&O Technology.